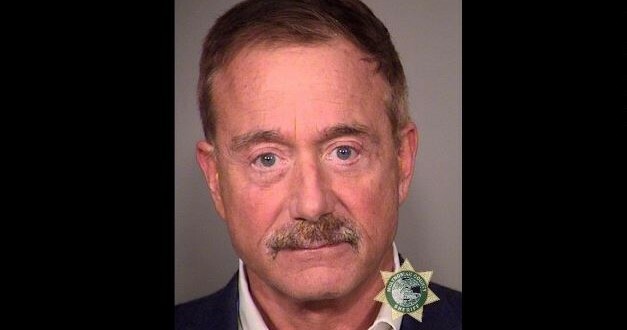 OREGON: Case Against Terry Bean Dismissed, Lawyer Says He Never Met Alleged Victim - Joe.My.God. While we are pleased with today¹s outcome, this is a case that should never have been brought in the first place. And in my 29 years of trial work, I have never seen anything like this case where the facts are ignored in a drive for the spotlight. Terry Bean is a lifelong Oregonian who is respected and beloved for his devotion to his community. His name deserves to be cleared and we hope that today’s dismissal accomplishes that goal. For almost a year we have been silent about the truth so that we could try this case in court and not in the media as the prosecutor tried to do. This case fell apart for a lack of evidence. If we had our day in Court, we are certain Mr Bean would have been found to be innocent of the charges based on four important facts: Terry Bean left the hotel room before anything happened, after being set up there by Kiah Lawson; We had a witness who would have attested to the fact that he left. As proof that this was all about money in the first place, we have proof that Kiah Lawson led the police to this young man last year. But before he did, he and his accomplice Jeff Dickey had numerous contacts with him to get their stories straight and on their advice, the young man in question sought a civil attorney to make a financial claim before the police were ever involved. The case was dismissed without prejudice, meaning that prosecutors could refile charges in the future. UPDATE: More from the Eugene Register-Guard. Bean promptly issued a prepared statement, saying that he “was falsely accused and completely innocent of every accusation that was made.” He thanked supporters and said he “look(s) forward to being able to tell the story of this conspiracy of lies, deceit, blackmail, malicious prosecution and homophobia now that this case has ended.” His attorney, Derek Ashton of Portland, told reporters that Bean was not present in the hotel room where prosecutors allege the sexual encounter happened in September 2013. But Lane County Chief Deputy District Attorney Erik Hasselman said today in an interview that Bean was the person who rented the room, and that the victim — despite his refusal to testify at this time — maintains that the allegations are true. Hasselman also disclosed that Bean had offered to pay the teenager more than $200,000 to settle the case earlier this year. Lane County Circuit Judge Charles Zennache rejected the deal in July. Additional details of the proposal have not been released.